Póg mo Thóin combines some of the most illustrious breeding in Irish Sport Horse history. His sire, Touch of the Blues, is world renowned as a sire and competition horse as well as his production of competition horses. Classic Annette herself, was a successful racehorse before going on to a second career in dressage. 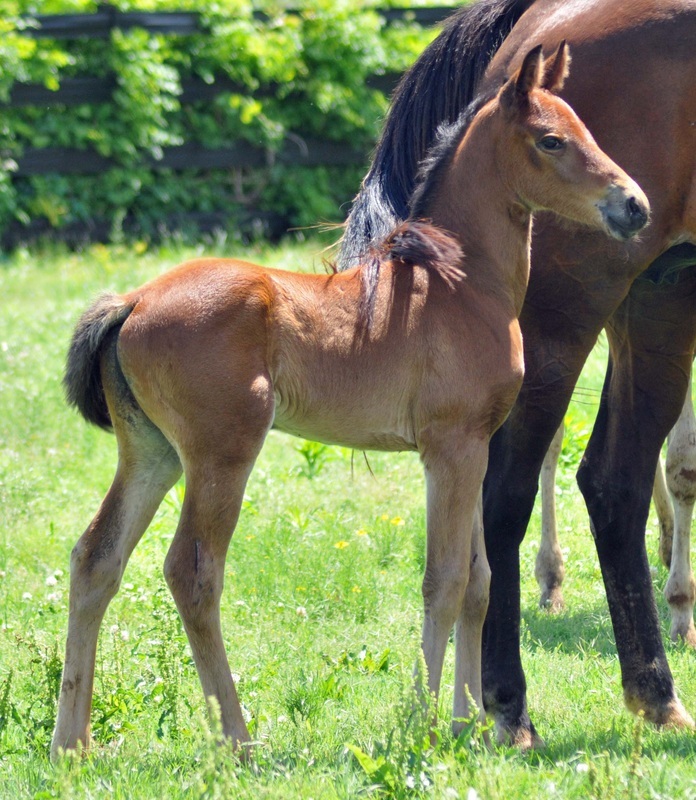 The combination of this mating has produced a truly exceptional foal that should excel in Jumping or Eventing. With an in your pocket, bold personality, Póg mo Thóin is already showing off his mojo. A beautiful, sloping shoulder, superior hindquarter and beautiful gaits, he literally springs wherever he goes. He has a classic, beautiful type combined and great substance make him an exquisite example of what the Irish Sport Horse is bred to be. This colt will excel in whatever discipline his rider chooses to point him at!